Liverpool would not have turned things around at Stoke to emerge as winners last weekend if it wasn’t for Philippe Coutinho and Roberto Firmino. The same can be said for Simon Mignolet, in fairness, but goals win games and it was our two Brazilians that provided the goods in that respect to secure three points in what was one of the most important games of the season. It was a heroic comeback win as the pair came off the bench to produce some magic and raise a mood that had been somewhat hampered by not only recent injuries to key players but also by the Jonathan Walters goal that had put Stoke ahead. 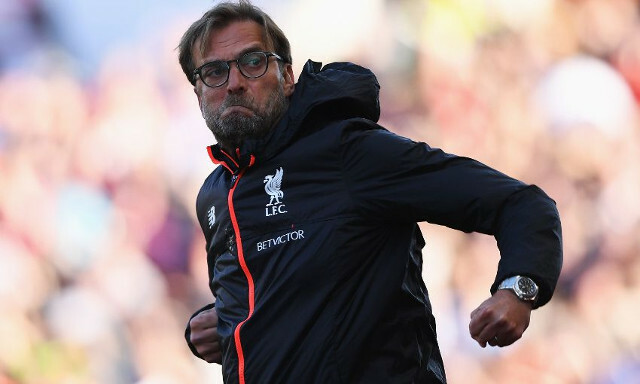 Jurgen Klopp has paid tribute to the two South Americans but has stressed how they can’t do everything alone between now and the end of the season. “Gini Wijnaldum said it after the game, I think – yes, they had a big impact on the game, that’s 100 per cent true, but the whole team played better in the second half,” he told Liverpoolfc.com. While they might not have done it alone, their introduction certainly sparked Liverpool’s team into life. Both were instrumental in what became one of the most impressive results this season. With Firmino’s spectacular goal being the exception, it was a performance short of quality and by no means Liverpool at their best. That said, it was a performance Reds will have good reason to have loved. It was tenacious, passionate and a display of the resilience fans expect from a side playing under Klopp. It was a display that featured ingredients that will undoubtedly be required in Sunday’s clash with West Brom.